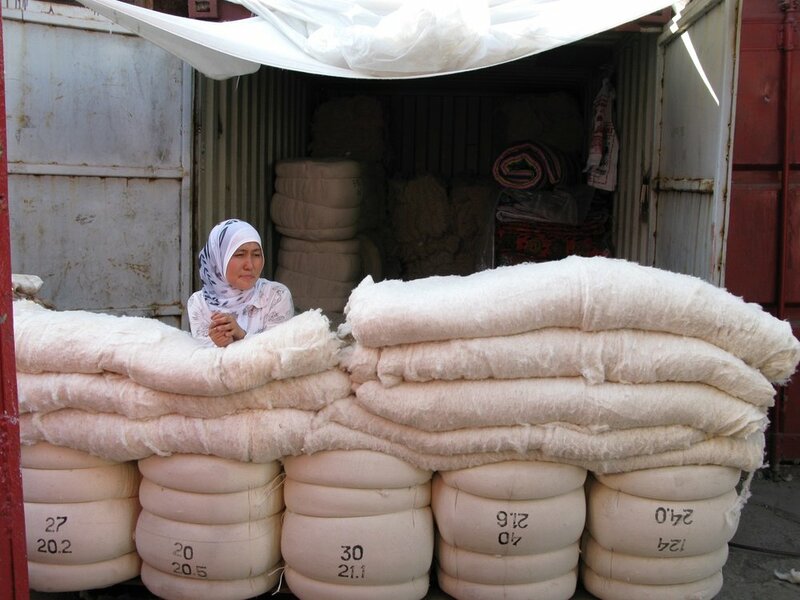 Christine Martens will discuss her journey from a studio practice to an 18-year investigation of textile cultures in Kyrgyzstan, Uzbekistan, Tajikistan, Turkey, and other countries in Central Asia. Her long-term research began with documentation of feltmaking in Konya, Turkey, in order to demonstrate the roots of the craft to her students at the Spence School, Manhattan. Discovering Kyrgyzstan at a symposium led Martens to explore large-scale embroideries for yurts in Kyrgyzstan and Kazakhstan. That led to her exploration of nomadic and sedentary traditions as well as the cultural, religious, and political landscape of Central Asia, using textiles as primary sources of knowledge. Projects emerging from her travels include the assembly of a collection of Central Asian quilts for the International Quilt Study Center Museum at the University of Nebraska. That collection was the subject of a catalogued exhibition, Sacred Scraps, at the IQSC Museum in 2016. The recipient of many grants including a Fulbright Scholar Award and an Asian Cultural Council Fellowship, Martens also received two Visual Arts Fellowships from the New Jersey State Council on the Arts and one from the New York Council on the Arts. She has written numerous articles related to her research in publications including Hali, Hermitage, and Surface Design Journal, and a catalog essay for Fashioning Felt, Cooper-Hewitt Museum. Board members will present an informal “annual report” on the state of our organization, highlighting accomplishments, goals, and current needs. Come and participate in shaping our reflections for future outcomes. See you there!